Concurrent Technologies key goal is to make it easier for our customers to construct solutions using our range of board level products. Historically with bus-based backplanes, it was relatively easy for customers to use a bottom-up type of strategy and to add functionality by sourcing off-the-shelf boards or sometimes by designing their own boards. 1. Being a pioneer company in providing all board products in the world market, what do you see as the key issues or trends that will have an impact in the manufacture of processors boards for the defense sector? [Concurrent Technologies] Typically our customers are looking for Concurrent Technologies to solve what, on the face of it, seem like impossible challenges. They need us to provide more processing performance for less power consumption, in a smaller space envelope and keep such products in production indefinitely. Part of this is easy as our suppliers, like Intel®, deliver significant performance upgrades within a consistent power envelope at a regular cadence, typically every year. At the same time, we continue to develop our mechanical and thermal techniques so that we are able to utilize and deliver more of this CPU performance to our customers at a product level whilst retaining the same external environmental conditions and constraints. For example, we now have a 12-core Intel processor based board with 64GB of DDR4 memory and up to 1TB of direct attached storage that is conduction-cooled and will operate reliably in a temperature between -40°C and +85°C whilst undergoing high shock and vibration levels. In addition, by maintaining our own on-site production facility, we regularly exceed our 15 year cradle to grave lifecycle expectation. As an example, we have just repaired some Multibus II™ boards for a key customer that we manufactured and shipped nearly 25 years ago! 2. What are your strategic plans keeping in mind with the customer requirements in the defense industry sector? [Concurrent Technologies] A key goal is to make it easier for our customers to construct solutions using our range of board level products. Historically with bus-based backplanes, it was relatively easy for customers to use a bottom-up type of strategy and to add functionality by sourcing off-the-shelf boards or sometimes by designing their own boards. 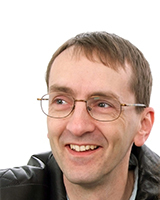 With the ever-increasing levels of integration and a rapid adoption of high-speed serial fabrics such as PCI Express® and 10 Gigabit Ethernet to interconnect the elements in a multi-processing solution this is no longer the case as solutions need to be thought about from the top down. Concurrent Technologies has invested in additional pre-sales resources to help customers architect their solutions using our board level products; we also provide starter kits and evaluation hardware to speed up initial prototyping. As well as our comprehensive operating system support, we provide proprietary tools to enhance the security, improve start-up times, run through selectable test cycles and make the transfer of data between processing nodes easier to use irrespective of the underlying fabric connectivity. 3. What are the range of safety measures implemented recently in your products to help your customers to enhance the security of their data? [Concurrent Technologies] We fit TPM 2.0 devices as standard on our new products as they provide enhanced security capabilities over the original TPM 1.2 modules we previously offered. To provide the same benefit as an option for existing customers we went back and retrospectively tested this option on all our processor boards that were designed from 2014 onwards. We have enabled a number of security technologies as standard features. One example is Secure Boot that checks the signature of each element of the boot software and only boots if they are valid. This is a feature of our UEFI BIOS but even simple security features need some explanation and so we’ve produced a comprehensive application note showing how to enable and deploy a solution using Secure Boot. All the Concurrent Technologies processor boards designed in the last few years support enhanced security features that we market under the Guardian brand. These include hardware, firmware and software elements that are designed to prevent unauthorized access to the hardware and any intellectual property that might be stored on it. This has now been in operation at many tier 1 defense contractors for several years and has proved very effective with no unauthorized security breaches. Should a board need to be moved out of a secure environment for any reason, Concurrent Technologies supplies sanitization utilities which either completely overwrite the non-volatile storage devices or return them to a factory default setting. 4. Can you share your experience on your participation at the VITA Technologies Round table? [Concurrent Technologies] The recent VITA roundtable article is enlightening as it provides an industry-wide view of the most important trends and issues by concatenating the views of many of the key players, Concurrent Technologies included. The round-table happens every year and one of the highlights from the latest was the consensus around the value of using open standards based products for defense applications. More than 20 years since the then US Secretary of Defense, William Perry, issued his memo mandating the use of COTS for defense applications it is clear that those products based on VITA standards have the most traction: specifically VPX™ for new high-speed applications and VME for the legacy I/O based ones. 5. Everyone talks about effective customer service, ensuring Customer satisfaction. How do you ensure this at Concurrent Technologies? [Concurrent Technologies] Every year we survey a wide range of our customers to compare how we are doing and to see if we can identify any trends for improvement. Over the last eight years, the satisfaction score for our technical support team has been consistently high and we believe this is large because we offer a very personal and comprehensive approach to support. Our products are complex but the real challenge our customers face is when they are trying to get a function to work on a system that has components from many vendors. Since Concurrent Technologies typically provides the central processor that does the management and setup for the system, we normally take the lead by first replicating the problem working with the other vendors and then organizing a solution even if this doesn’t involve changes with our own products. We know that every customer has important deadlines to meet and we do our best to help them. 6. What are the main products manufactured by Concurrent Technologies for the defense market that have an edge over its competitors? [Concurrent Technologies] Since we’ve worked with Intel for more than 30 years, our main value is in designing, manufacturing and supporting Intel processor-based boards for a variety of defense applications. Typically our VPX processor boards, like TR E5x/msd have acted as the central ‘brain’ in electronic warfare, intelligence, surveillance and reconnaissance systems that use signal processing cards based on GPUs, FPGAs and DSPs. 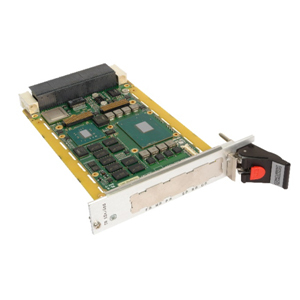 In addition, Concurrent Technologies has developed and launched solutions for rugged servers such as our TR G4x/msd VPX board. These are designed for use in the theatre of operation and so are hardened for battlefield levels of shock, vibration and other challenging environmental parameters. 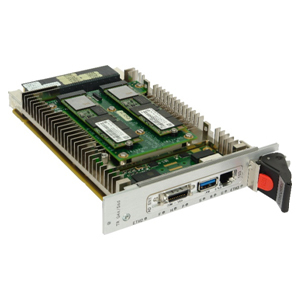 In order to help our customers produce rugged systems with multiples of these server boards, Concurrent Technologies also designs ancillary products including a 10G Ethernet switch and an XMC carrier board.